Prestige Deck Coating is quality waterproof deck building company in Orange County Ca who can help with all of your deck coating needs! 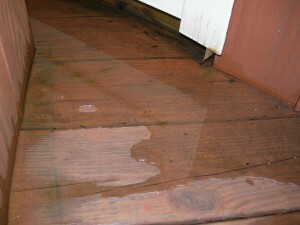 A properly waterproofed deck can save you thousands of dollars, rather than waiting for a leak, mold or dry-rot. 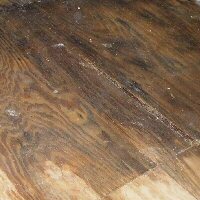 Another advantage to being proactive when choosing a waterproof deck building company in Orange County Ca, is that if we apprehend a deck in good condition, we can safely waterproof directly over the top of the old waterproofing material, saving you the cost of demolition, waste and labor. To waterproof a typical deck usually costs a few thousand dollars but to repair water or mold damage it can cost a homeowner three or four times as much. Our waterproofing system is guaranteed for five years, or an additional 5 with a maintenance package. Living in a Orange County Ca home can mean maintenance and repairs have been piling up for the past decade, and sealing your deck may not be high on your list, but we meet so many people with homes built in the 70’s that wish they had known how much money, time and energy it would have saved them to waterproof their deck or balcony before severe water damage had ensued. It doesn’t matter if your current decking is concrete, elastomeric, or urethane, because we can usually repair and resurface over it. Prestige Deck Coating in Orange County Ca will get it done right the first time, so you can rest assured about your deck coating. With the proper maintenance, your deck waterproofing can last 10 or more years. This is due to the fact that we emphasize proper installation. Prestige Deck Coating is a premier waterproof deck building company in Orange County Ca. Give us a call today to set up a time to get your free estimate!